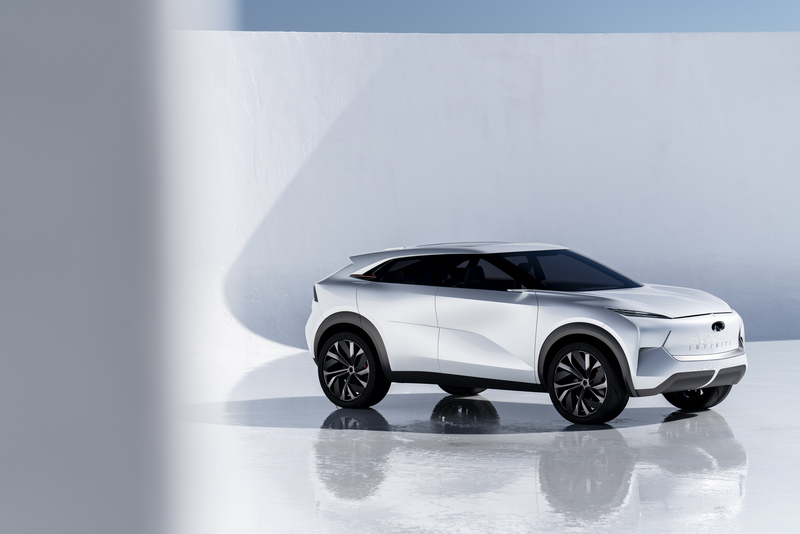 The unrelenting march of the electric vehicle shows now sign of abating and this sleek concept from Infiniti joins a long list of SUVs and crossovers that are swapping the internal combustion engine for battery packs. With the risk of sounding like some sort of terrible Channel 4 design pundit, this concept feels special, as it draws heavily on Japanese architecture and traditional hospitality methods that somehow blend razor sharp exterior lines with a welcoming and airy interior. 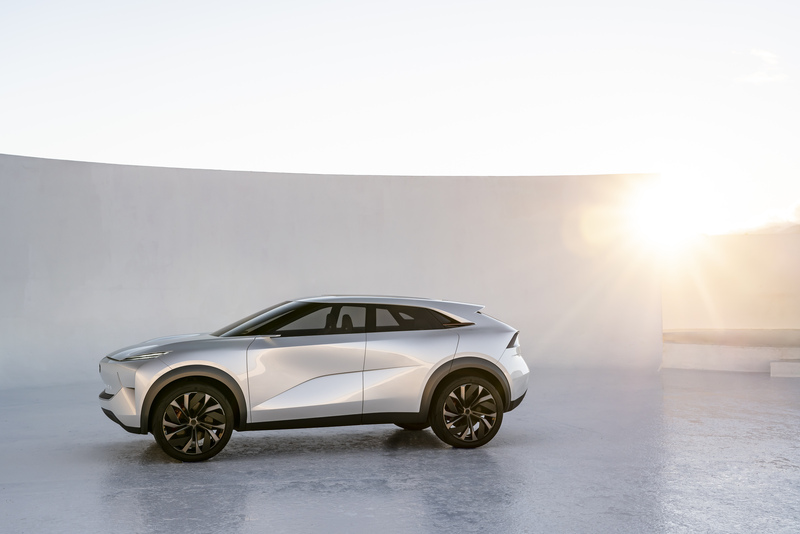 According to the marque, the QX Inspiration signals a new era for Infiniti design enabled by technology, with a form language hinting at the potency and character of electrified powertrains. Underpinning the aesthetic of the exterior is the Japanese spatial concept of ‘Ma’, which loosely translates to ‘the mastery of empty space’, hence the extremely clean lines and origami-like form. If the concept is anything to go by, it will likely set a very high standard for the company’s first fully-electric production car, which will draw heavily on technologies available across the Renault, Nissan and Mitsubishi alliance. Step inside and the cabin feels like a cross between a high-end hotel lobby and some sort of futuristic spacecraft, with most functions committed to shiny touchscreens and an elongated marble-effect table separating the front passengers. 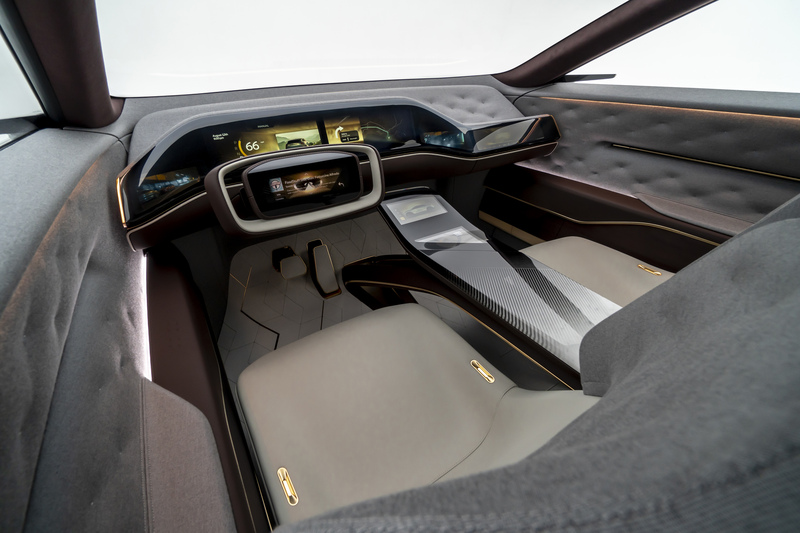 “We have taken advantage of the EV architecture to develop a lounge-like interior, enabled by the flat floor and the empty space below the dashboard and centre console,” explains Karim Habib, Executive Design Director at Infiniti. Hear that? That’s the sound of design jargon flying over our heads, but there’s no denying it looks different, imposing and everything that a madcap concept should look like. 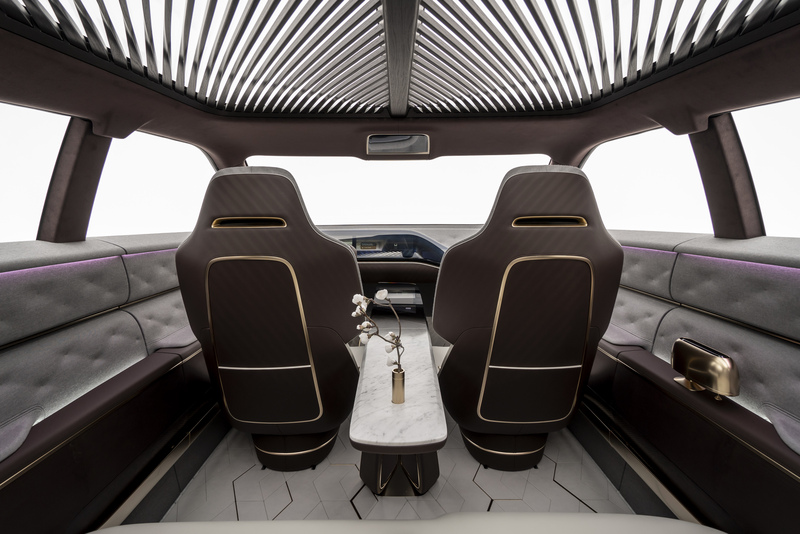 Of course, the rear suicide doors, enormous alloy wheels and that rather fetching marble table will likely be banished to the dustbin by the time this electric SUV hits the forecourts, but it’s a stunning concept nonetheless.